One of the pitfalls of writing restaurant reviews and being a long-winded person in general is that often not everything makes it onto the page. Such was the case with Duende (full review forthcoming), whose attached “bodega” (a combination wine/olive oil retailer and high-end coffee shop) is a plenty-ambitious undertaking all on its own — and worthy of a separate write-up. 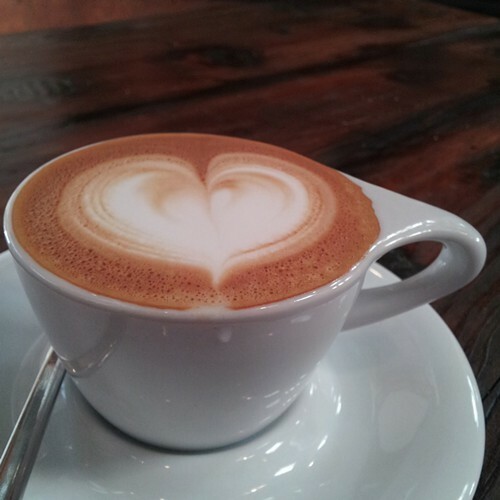 The Bodega at Duende is, at its core, your garden-variety hipster cafe, complete with third-wave coffee pedigree (with beans from Santa Cruz-based roastery Verve) and a small selection of house-made baked goods. 2) No wi-fi, at least for now (sorry, MacBook drones!). But the cappuccinos are excellent. 3) And because the bodega is attached to a real restaurant kitchen, the food offerings are a cut above compared to just about every other local coffee shop. 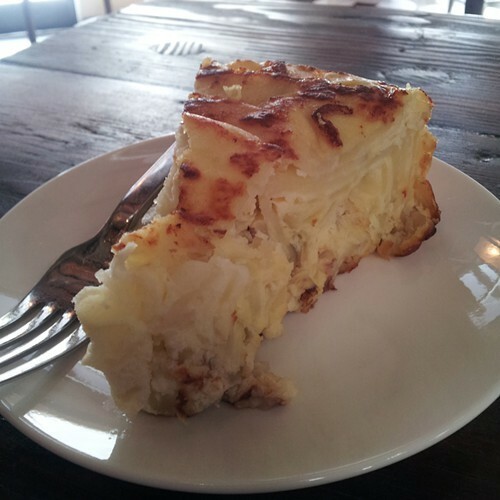 Of particular note was the deceptively plain-looking Spanish tortilla ($5 for a thick wedge), which was mostly potato (thin slices cooked soft and piled on top of each other) and just a little bit of egg — so fluffy and delicate, this was arguably the tastiest thing I had in all my visits to Duende ($38 paella notwithstanding). The churros ($5 for three) were also quite good, though I found the accompanying chocolate dipping sauce to be unbearably sweet. 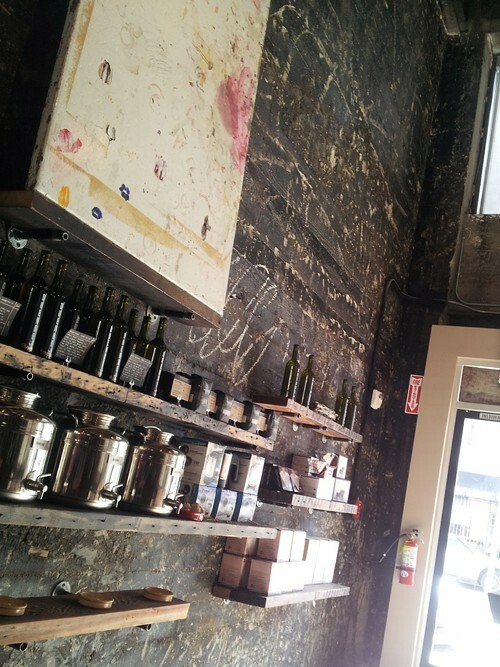 Additionally, the bodega has a well-curated selection of wines and sherries (which you can buy at retail prices and enjoy with your dinner at Duende for a discounted — $12 — corkage fee), and at least three different kinds of olive oil on tap (supplied by Berkeley-based Amphora Nueva), available for sampling or purchase. After 5:30 p.m., when the restaurant opens, the bodega becomes a kind of overflow area where folks who are waiting for a table can lounge with a glass of wine or an espresso, and even order a few tapas or a dessert. Starting sometime in the next week or two, the full restaurant menu will be available to diners in the bodega, making it a good casual walk-in option for people who can’t plan far enough ahead to snag a prime reservation slot. Indeed, chef-owner Paul Canales said the bodega side of the business is where he sees the most potential for growth and creativity. Eventually he hopes to expand the daytime food options, perhaps offering a variety of fun, one- or two-bite pintxos (Basque bar snacks), as opposed to the more substantial tapas on the dinner menu.